Today is day 2 of my 5000+ mile, 17 day motorcycle ride. Yesterday I met my riding buddies, Larry T. and Larry A. 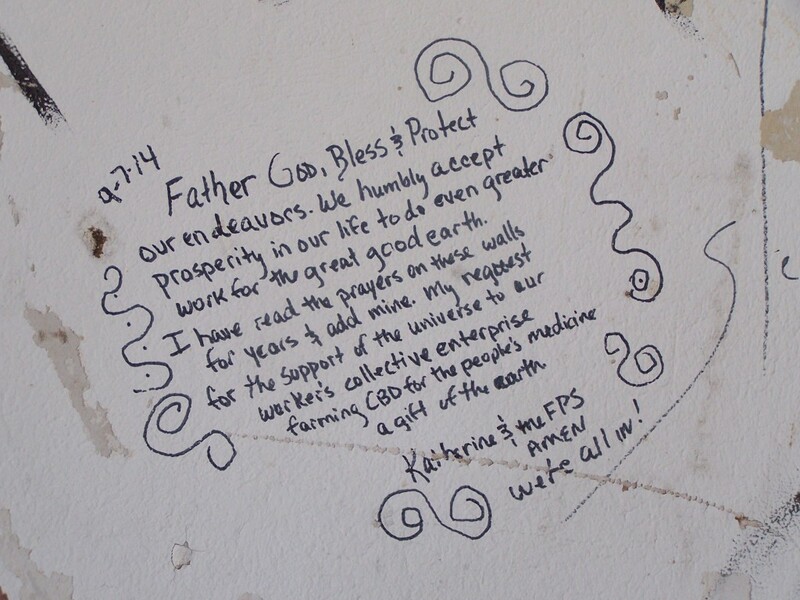 (the Larry’s) here in Canyon, Texas. 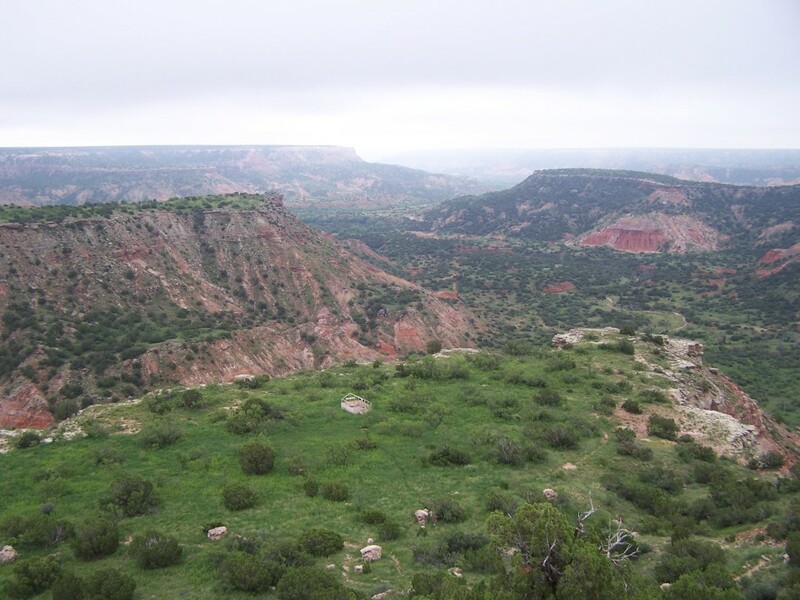 Our first stop is the Palo Duro Canyon State Park. We were there yesterday to eat dinner and see the “Texas” show. Today we will return to ride the entire length of the park before heading down US 60 to Ft. Sumner. US 60 runs roughly parallel to the better-known Route 66. To me, US 60 is more scenic and more remote than I-40/Route 66. Because things are few and far between on US 60, I would recommend you to plan gas and food stops. 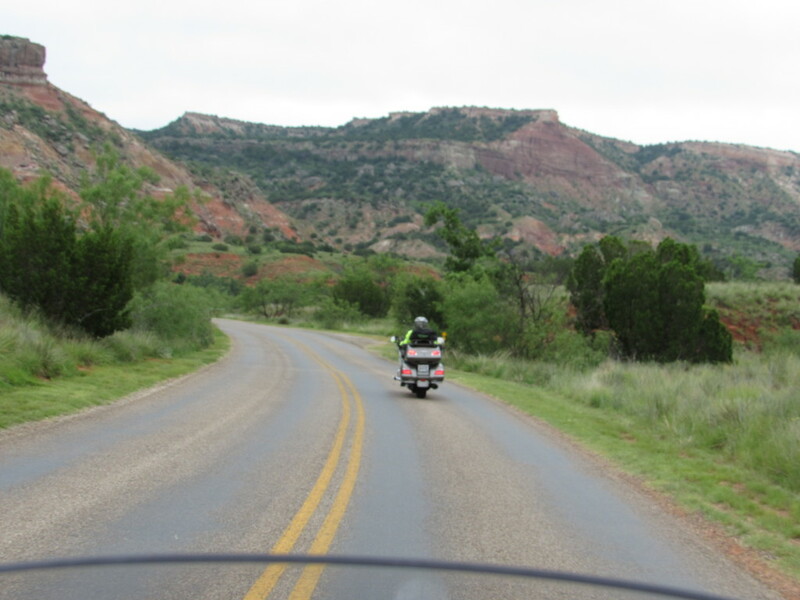 Riding in Palo Duro Canyon. Photo by Larry A. The Palo Duro Canyon lies in the heart of the Texas Panhandle and is the second largest canyon in the U. S. When riding out to the canyon you will be asking yourself, “Is there a canyon out here?”… The scenery riding out is flat and doesn’t suggest canyon country… but then you are in it, seeing spectacular views sloping toward the canyon. 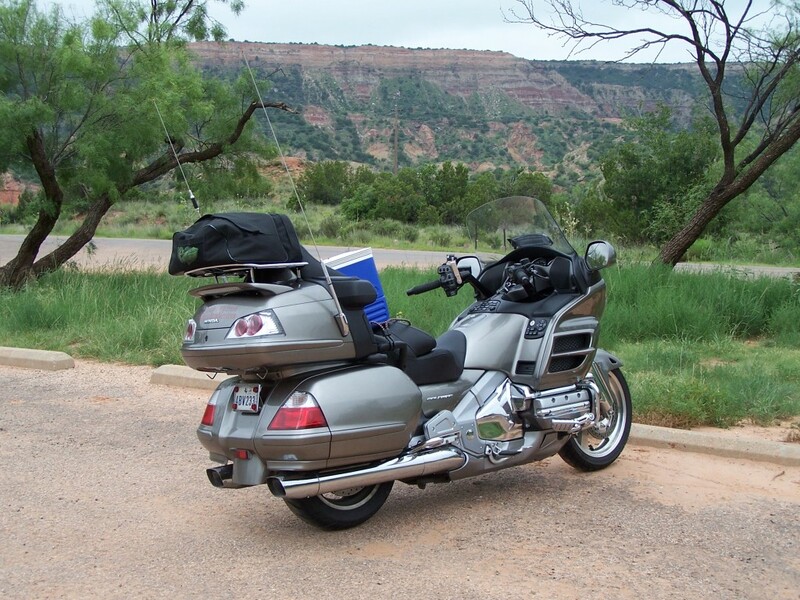 The visitor center is a good place to see the canyon from the top before riding into it and to learn about the canyon and its history. Before the day’s end the temperature did manage to climb to the mid 90’s. A bit warm, but that was to be expected. For this leg of our ride, US 60 is straight, flat and paralleled the BNSF railroad line through miles and miles of ranch and farm land. We saw many freight trains moving tons of freight down the railroad. 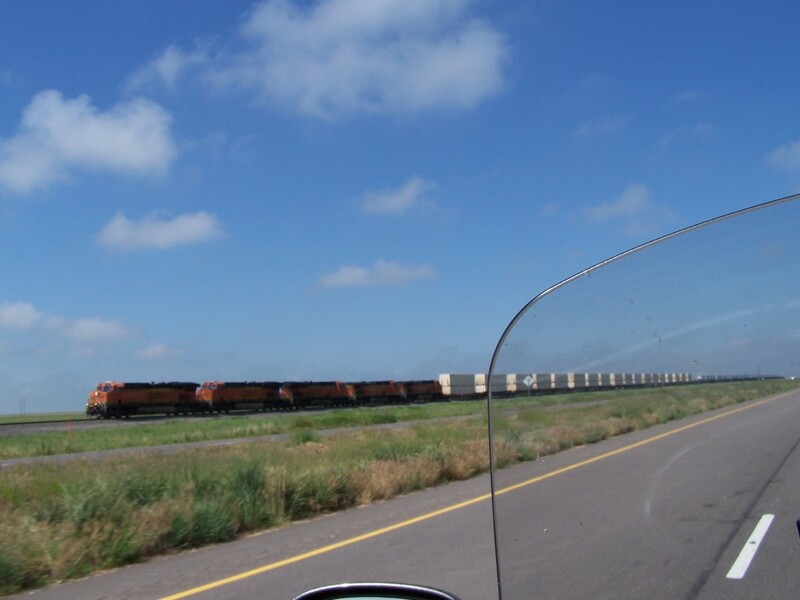 I spent my time taking pictures of the freight trains as we rolled down US 60. 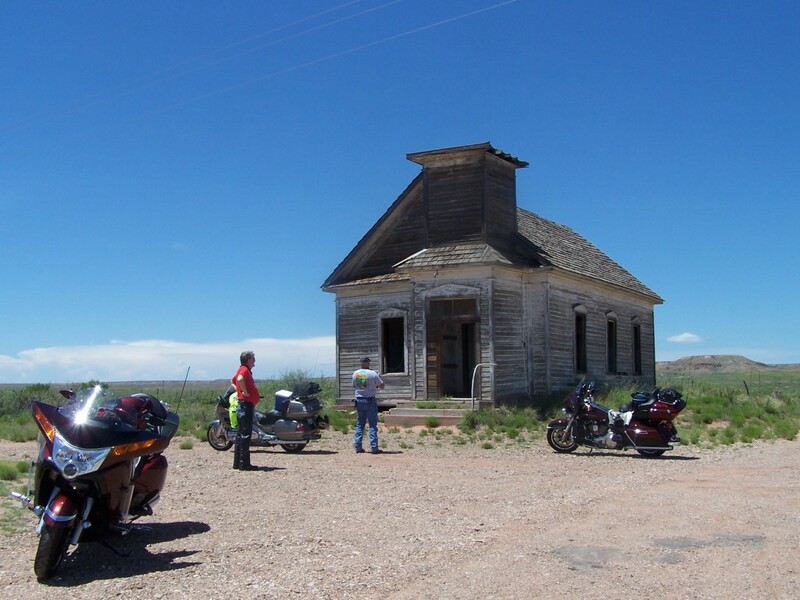 Just outside the town of Ft. Sumner is the old Ft. Sumner grounds where the infamous “Billy the Kid” is buried. The old fort is rich in history and worth taking the time to visit the grounds and museum. On October 31, 1862, Congress authorized the establishment of the military Fort Sumner. Fort Sumner was a million-acre reservation known as the Bosque Redondo Indian Reservation. The U.S. Army forcibly moved the Navajo and Mescalero Apache people to the surrounding area. A small settlement grew up around the military post comprised of ranchers, stockmen and businesses supporting the fort. Fort Sumner closed forever on June 1, 1868. The Indians were allowed to return to their former homes shortly there after. In 1870 the old Fort Sumner buildings were sold to Lucien Maxwell. Lucien Maxwell turned over his affairs to his son Peter before passing away a few years later. Billy the Kid and Peter Maxwell became friends. On July 14, 1881, Sheriff Pat Garrett killed Billy the Kid in a bedroom of the Maxwell home. 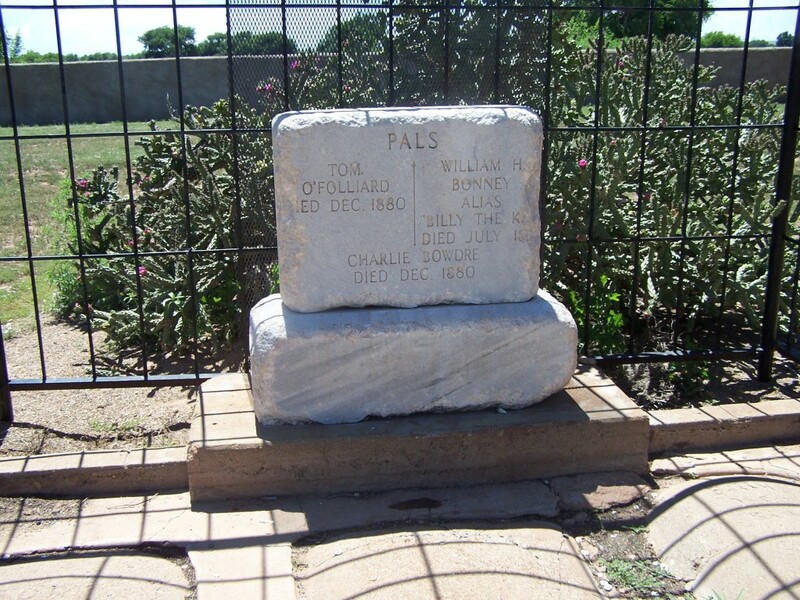 Billy is buried along with two of his friends; Charlie Bowdre and Tom O’Folliard, in the military cemetery at Fort Sumner. The fort is now the home of one of two museums about Billy the Kid. The other museum is in the town of Fort Sumner. The museum is a treasure trove of information on Billy the Kid and the Lincoln County war. There are many firsthand accounts, information about Billy and many period artifacts. It is worth the time and the small entrance fee. From the Old Fort we rode on to the town of Fort Sumner (6.7 miles) our home for the night.